The broadcast spectrum. I use that term a lot when I write, and I do it thinking that everyone out there understands it. But it’s a hard concept really, so I thought I’d back up and do a little explanation. The spectrum is an idea, not a physical thing. You see that they are different in the number of up-down cycles over the same area. We can use a radio tuner to listen to only signals with a particular frequency and ignore everything else. So, we can have an almost infinite number of radio signals, as long as each one is on a different frequency. There’s a bigger picture at work here. Radio waves are technically “electromagnetic radiation.” That means they are a form of energy that travels from place to place and we can characterize the energy by the frequency of the waves. (Now, electromagnetic energy acts like a wave, and it also acts like a particle, but that’s another whole story.) Radio waves, which include not only “radio” but cellular, television, short wave, satellite, CB, first responder networks, etc, are part of that “spectrum” but they’re not the only part. There is also infrared radiation which causes heat when reacting with objects, visible light which humans and other lifeforms use to see things that are distant, ultraviolet radiation which is helpful to plants but harmful to animals, and several other sorts of radiation. 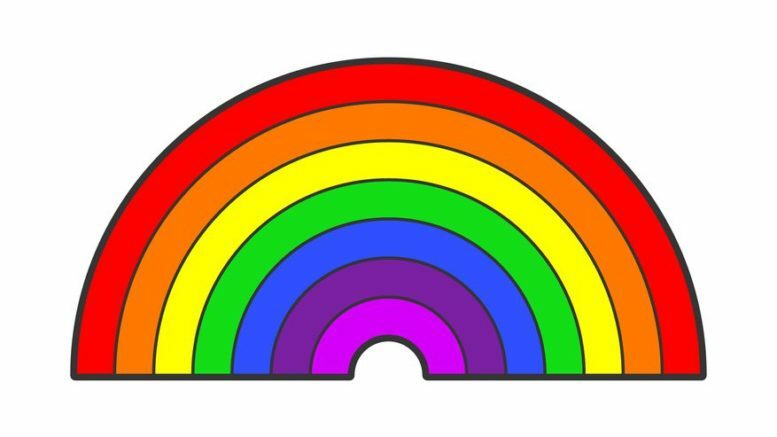 It’s all part of a spectrum which, when you picture it, looks something like this. Different parts of the spectrum are good for different things. Obviously there is the visible light part of the spectrum which is good for seeing things and the infrared part which is good for heating them. However, even within the part of the spectrum used for broadcasting, different frequencies are best used for different things. In general, the shorter a wave is (in other words, the higher the frequency) the longer it will travel, although it will take more energy to generate. for example, satellite TV travels further than over-the-air TV. There are a lot of other factors too — the frequency of a signal also has some effect on the kinds of things that can block it, something to consider if you’re trying to get radio signals inside a building. Some frequencies bounce off the atmosphere and some go through it. To be specific, there’s a chunk of the spectrum that is pretty good for a lot of fairly short-distance communication, from about 40MHz to 2,000MHz. This is where you find FM radio, over-the-air television, cellular phones and data, first responder communication, that sort of thing. It’s a crowded area because everyone wants to use those frequencies. There isn’t enough room for everyone, though, and if everyone just did whatever they wanted, broadcasts would interfere with each other all the time. That’s why the government steps in and issues licenses for each person or company that wants to use the broadcast spectrum. Sometimes the government needs to step in and reassign some of those licenses. We’re in the middle of that process right now. When television was king in the 1970s, there was a huge chunk of broadcast spectrum dedicated to TV broadcasting, from 50MHz to 900MHz. Over time some of that was given to first responders, some to radio astronomers, and fairly recently, the range from roughly 700-800MHz was given over to cellular data. That wasn’t enough, though, and the FCC is now working to take the range from 600-700MHz (roughly) and give that over to cellular data too. We tend to think of the broadcast spectrum as a line, like the diagram above, which helps us classify it and know what’s going on. The reality is a lot more complex, but at least thinking about it this way helps us organize it and keeps us all from having nightmares. And that’s something anyway.